Anti-inflammatory diet is a lifestyle change that will improve many health problems. Anti-inflammatory diet is not merely a diet, but a lifestyle change that will improve many health problems and can be tailored to your specific needs and intolerances. It is a natural cleanse, that will heal your body inside out. Inflammation is an intrinsic bodily function that exists as the immune system response to percieved threat from harmful bacteria and viruses. It can be a beneficial response of the body when it flares up in response to right stimuli, but it can go into overdrive and perpetuate health problems. Chronic inflammation lasts longer, persists day in and day out, even when you are not threatened by any infection. That's when inflammation becomes harmful and can result in cancer, heart disease, diabetes, arthritis, Alzheimer's disease, depression and other chronic health conditions. With an anti-inflammatory diet, it is likely you will loose some weight as you will be eating food your body can process properly. Consuming a higher amount of B-vitamins, antioxidants such as vitamins A and C, and biotin all of which are crucial for the quality of skin, hair and nails, will help you rejuvenate from within. Chronic inflammation causes chronic disease. Reducing inflammation prevents age-related diseases. Developed by Andrew Weil, the Harvard-educated doctor, the diet reflects Weil's belief that certain foods cause or combat inflammation in the body. It is based on a daily intake of 2000-3000 calories, depending on the gender, size and activity levels of an individual. According to the American Heart Association, inflammation is common among heart disease patients. Research has shown a correlation between heart disease and elevated levels of CRP (C-Reactive Protein), a protein in blood that signals inflammation. The anti-inflammatory diet is high in fiber and has been shown to lower the CRP levels. It requires to include more fresh food and minimize the consumption of processed and fast food. It recommends increased intake of whole grains, beans, winter squash, sweet potatoes, avocado, nuts, fish such as sardines, herring, and black cod, and reduced intake of saturated fats. Metreye, What are the best fish to include in an anti-inflammatory diet? Sounds good to me. 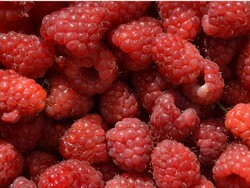 I often use frozen raspberries in smoothies, but what I don't like about that is that I have to use yogurt. I'd rather eat less dairy. I see they're not mentioned at all in your article, by the way.